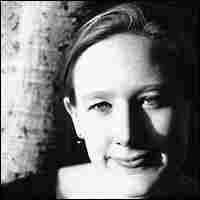 Playwright Sarah Ruhl Entertains with Big Ideas At 31, playwright Sarah Ruhl has already been a finalist for the Pulitzer Prize with The Clean House. Ruhl's epic trilogy Passion Play takes her further into the public spotlight. 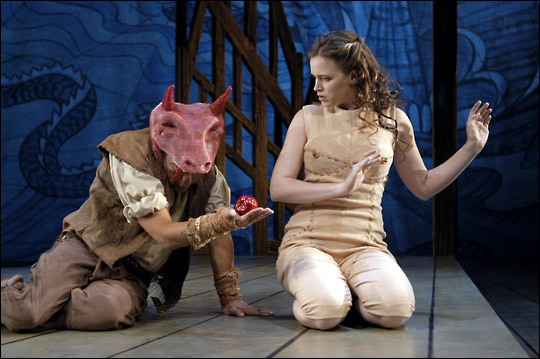 Felix Solis and Kelly Brady in Passion Play at Washington, D.C.'s Arena Stage. Ruhl's plays are filled with big ideas -- abou--life, death, the role of religion and of politics. Naomi Jacobson (left) and Sarah Marshall play Lane and Virginia, sisters at odds, in a production of the The Clean House by the Wooly Mammoth Theatre Company in Washington, D.C.
At 31, playwright Sarah Ruhl has already been a finalist for the Pulitzer Prize. Through her characters and her stories, she tackles big ideas with a voice that entertains and sets her apart from others. Ruhl's inspiration for her Pulitzer contender, The Clean House, came from a chance remark overheard at a party. "My cleaning lady is depressed and won't clean my house," a doctor at the party said. "So I took her to the hospital and had her medicated. And she still won't clean!" From that singular moment, Ruhl spun a tightly written play about laughter and death that somehow manages to avoid pretension. 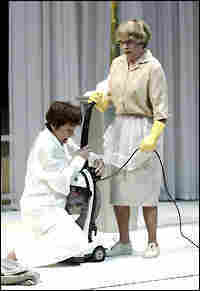 The Clean House was so successful that it has been honored with productions in the United States and Europe. Now Ruhl is moving beyond that tight construction to an epic trilogy called Passion Play. It sets the story of Christ's crucifixion in three diverse locales: Elizabethan England, Hitler's Germany and Spearfish, S.D., during the Vietnam era. Passion Play is very much a work in progress. But it reveals the breadth of Ruhl's imagination and represents a big step forward for the young writer.